Stephen L. Ruff Jr. | Ruff, Freud, Breems & Nelson Ltd.
Steve joined the firm immediately after graduation from law school. As the head of RFBN’s Health Care Practice Group, Steve’s practice includes the areas of hospital/medical staff relations, medical staff bylaws and compliance matters, capital finance, business enterprise and patient care issues. He counsels hospitals, physicians, nursing homes and senior housing organizations on tax issues, negotiation of provider contracts, major equipment purchases, software licensing agreements, acquisition of medical practices, affiliation agreements and construction contracts. He routinely advises physicians and hospital clients in managed care matters. Steve also provides advice and counsel to several orders of men and women religious of the Roman Catholic Church, Roman Catholic sponsored secondary schools, and Protestant Churches. His representation includes assistance in the formation and operation of tax-exempt organizations, governance issues, real estate taxation issues, and construction contract matters. 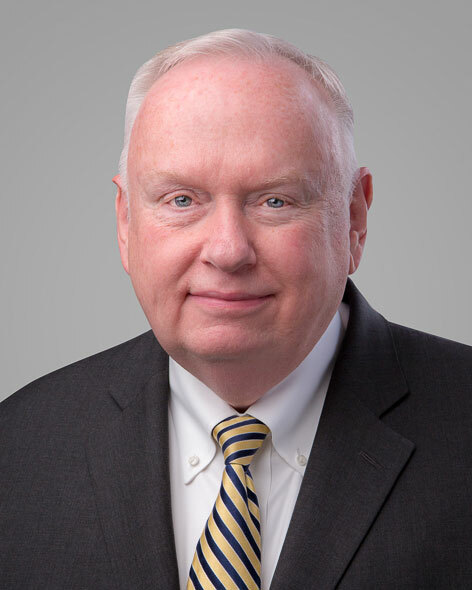 Steve served as outside general counsel to the Columbus-Cabrini Medical Center, a 600-bed teaching hospital in Chicago, from 1971 to 1995, until the hospital merged into Catholic Health Partners. During that 25-year period, he addressed and resolved almost every legal issue encountered by the MedicalCenter. systems and securing exemption of properties from real estate taxation. His experience includes advising clients on hospital based and non-hospital based provider contracts, major medical equipment purchases, computer hardware and software contracts, acquisition of physician medical practices, affiliation agreements and construction contracts. He also assists persons in the formation and operation of business entities including partnerships, corporations and limited liability companies. He also advises clients on matters involving the lease, sale and purchase of real estate, estate planning, and guardianships. He is a member of the Board of Trustees of Saint Joseph’s College (Indiana) and has served in that capacity since 2003. Co-Chairman of the Board since 2013. He was a member of the Board of Directors of Saint Anthony Hospital Foundation (f/k/a Columbus-Cabrini Medical Center Foundation) commencing in 1995 and served as its chairman from 2006-2010. He is a member of the Board of Directors of Brother Rice High School, Inc and has served in that capacity since 2013. He is a member of the Board of Directors of Westcourt Corporation and has served in that capacity since 2006. Chairman of the Board since 2011. He is a member of the Board of Directors of theNational Shrine of Saint Frances Xavier Cabrini, Inc and has served in that capacity since 2013. He is a member of the Board of Directors of Codogno Center, Inc., and has served in that capacity since 2013. Steve is a Chicago native who was raised on the city’s south side. He currently resides with his wife and two daughters in Elmhurst, Illinois.